At noon on Thursday, May 7, a flute trio featuring Allison Hubbell, Nancy Vinson, and Alina Windell will perform a free concert at Jule Collins Smith Museum of Fine Art, Auburn University as a part of the museum’s weekly series, “A Little Lunch Music.” The performance is being sponsored by Ursula’s Catering and anonymous friends of the series. The café menu is available online. Allison Hubbell grew up in Laramie, Wyoming, and completed her Bachelor of Music in Flute Performance at the University of Colorado. She recently earned a Master’s from the University of Miami, and has studied with renowned flautists Trevor Wye, Trudy Kane, and Christina Jennings. While in Florida, Allison taught at Westminster Christian High School as well as at The University of Miami. Allison has performed with classical, jazz, and popular artists such as Joshua Smith, Ian Anderson, Chick Corea, Terence Blanchard, Bobby McFerrin, Dave Douglas, Kenny Loggins, and The Cleveland Orchestra. Nancy Vinson is Principal Flutist in the Montgomery Symphony Orchestra and has played with the orchestra for over twenty five years. She holds a Bachelor of Music Degree in Flute Performance from Auburn University and a Master of Music from the University of Mississippi. 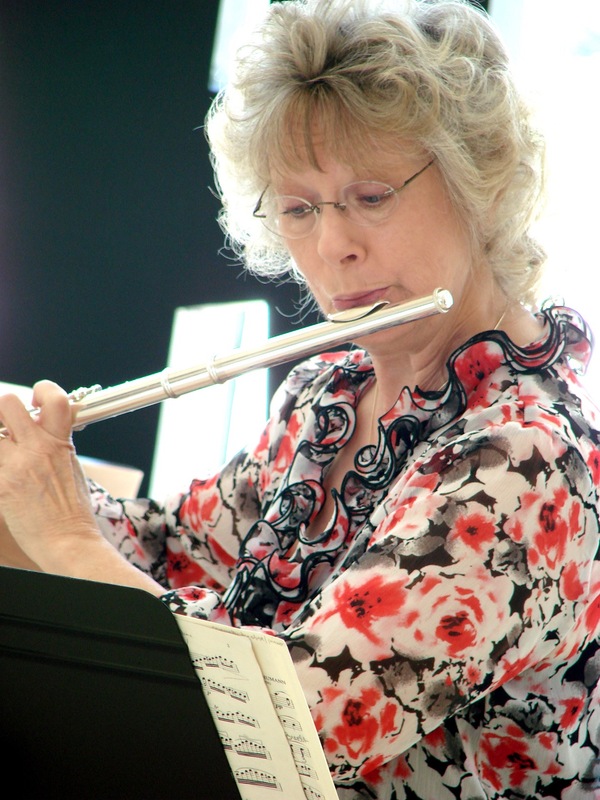 She has taught private flute for over thirty-five years and currently maintains a studio of fifteen students. She has twice been featured as a soloist with the Montgomery Symphony, in 1999 and 2009. 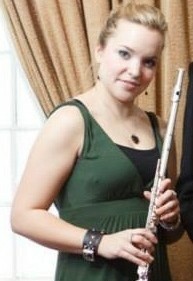 Nancy is also Principal Flutist with the Alabama Winds, an all-adult community wind band based in Birmingham, Alabama. Mrs. Vinson’s emphasis and skill in teaching has produced a prize-winning legacy of students. She has placed numerous students in the Alabama All-State Bands and All State Orchestra and has on four occasions taught the premiere high school flutist in Alabama. Eight of her students have been chosen to perform at National Flute Association conventions and four have been state winners in competitions sponsored by the Music Teachers National Association. A Past President of the Alabama Music Teachers Association and a Nationally Certified Teacher of Music in Flute, she is also an active member of the National Flute Association and the Atlanta Flute Club. 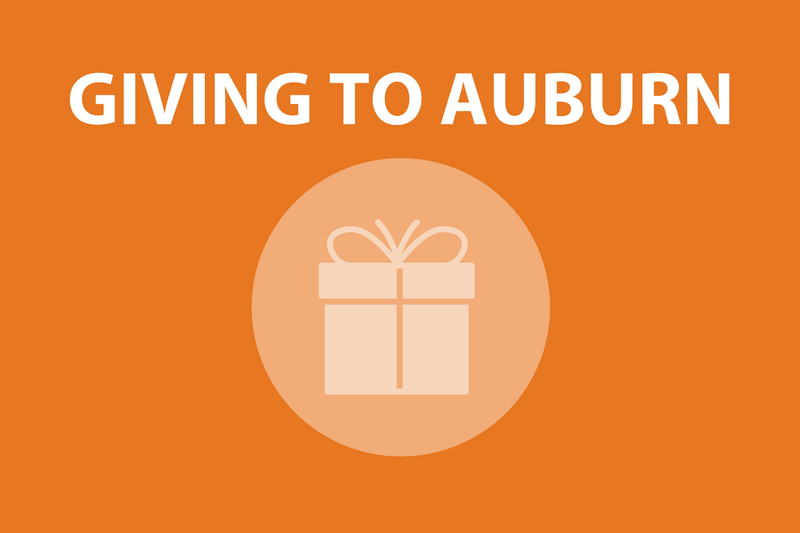 Nancy and her husband Johnnie live in Auburn. Their sons, Lee and Ed, are both professional musicians. 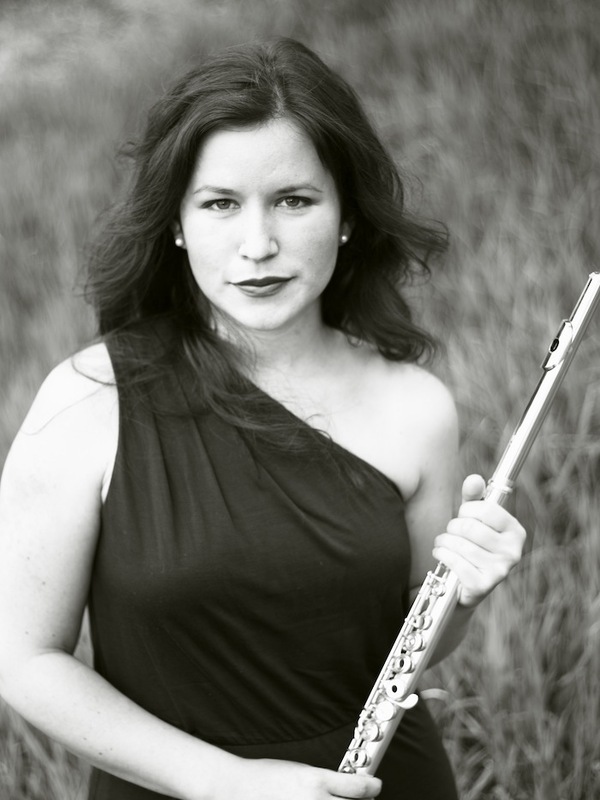 Admired for her vibrant sound, flutist Alina Windell completed her undergraduate studies at Indiana University and her masters with Carol Wincenc at Stony Brook University while performing professionally in New York City. Since finishing her doctorate at the University of Colorado at Boulder, she has been busy performing professionally, first as a member of the South Florida Symphony Orchestra and now as a member of the LaGrange Symphony Orchestra and principal flutist at the Springer Opera House. Dr. Windell has also appeared with the Columbus Symphony, the Lynn Philharmonia, the Bloomington Camerata Orchestra, the National Orchestral Institute Festival Orchestra, the Opera Theatre and Music Festival Orchestra of Lucca in Italy, and in concerts at the Duxbury Music Festival. An avid chamber musician and advocate of new music, she premiered Circles by Rachel Matthews at the Pendulum Concert Series at the University of Colorado at Boulder, recorded the music of Carter Pann for the Naxos record label, and performed for two years as a member of the Chinook Winds, the graduate wind quintet in residence at CU Boulder. Most recently, she was selected to be a finalist at the 2015 Byron Hester Solo Flute competition in Houston, Texas. She currently teaches at Southern Union State Community College and maintains a private studio. Her flute students have received honors including winning admittance to the Interlochen Arts Academy with scholarship and have been prizewinners in competitions including the Music Teachers National Association and the Atlanta Flute Club.